We run a range of dating, lifestyle and social networking sites online. All of which work on a single shared database. Please be assured that we operate on the same servers and system so your details are at no point duplicated or passed to any third parties. 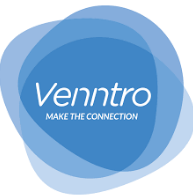 All sites that are are part of White Label Dating are operated by us, Venntro Media Group, and the people who market the individual sites do not have access to your details - they have no need as we manage all of the customer care contacts. Our database is split into specific networks and each site is designed to attract a different type of member and cater for their needs. The benefit of our shared database is that members are able to get in contact with you from same-natured websites instead of having to register on multiple accounts. This works at your advantage and provides further opportunity for you to meet your perfect match!